The art of making Sauerkraut has been around a long time. People have been fermenting foods since Neolithic times, and for a good reason. Besides preserving the foods, fermented foods can be great healthy foods. Lacto-fermentation encourages the growth of good bacteria that, when eaten, promotes a healthy digestive system. You can buy a fermenting culture online, or you can strain some plain yogurt in a cheesecloth-lined strainer. The liquid is called whey that we will use in this recipe. 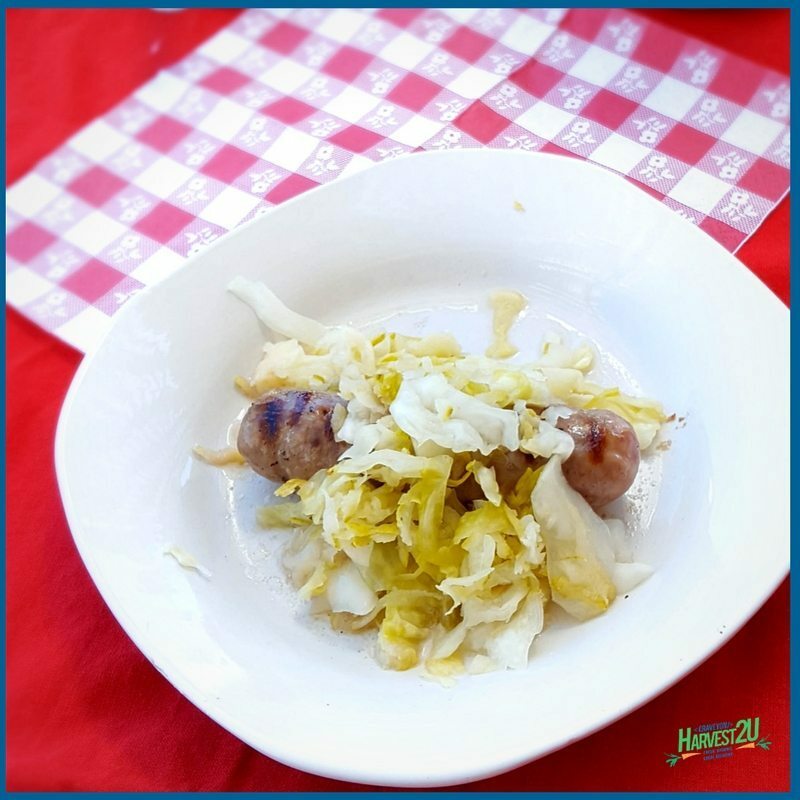 A few precautions to take when fermenting: sterilize the jar you are going to use to ferment the Sauerkraut, do not use metal (plastic, glass or wood only) and keep an eye on the Sauerkraut to make sure the cabbage stays below the water. If you see any signs of mold THROW IT OUT! It’s important to use organic fruits and vegetables for all your ingredients. Chop the cabbage into thin strips. Place in a large non-reactive bowl. Add salt and mix. Let sit for about 20 minutes. Squeeze the cabbage to release some of the juices. Add the apple/pear and the whey and mix. Pack the cabbage tightly into the mason jar. Pour in all of the juices. Add filtered water to within 1 1/2 inches from the top. Bubbles are released during the fermentation process, so you need to leave room for expansion. Place the lid on the jar and place it a warm place where it will not be disturbed. Let it sit for 1-3 weeks. The warmer the spot, the faster it will ferment. You may want to “burp” the jar occasionally by opening the lid to release the gasses. Taste it to see if it is ready. At first, it will taste like salty cabbage, but before long it will develop the distinctive sour tang. You can store the Sauerkraut in the fridge to slow fermentation for about 6 months.